A sleep specialist recommends foods and drinks to promote better sleep. Your diet can impact how well you sleep. Sleep specialist Dr. Michael Breus told us which foods and drinks can help promote better sleep. Examples include beef, salmon, walnuts, tart cherries, and lavender tea. From having a bubble bath to going to bed naked, there are a number of things you can do to get a better night’s sleep. Even your diet can have an impact on how well you sleep. We spoke to Dr. Michael Breus, a sleep specialist and author of “The Sleep Doctor’s Diet Plan: Lose Weight Through Better Sleep,” to find out what we should be eating (and drinking) to get a better night’s rest. Here are 23 foods and drinks that he recommends. Beef is high in tryptophan, an acid “that is involved in the process of making melatonin naturally,” Breus said. Melatonin is a hormone that helps regulate your sleep. Beef also contains vitamin B3 and iron, which help alleviate restlessness, according to the sleep doctor. Fish like tuna is a great source of Omega-3 fatty acids, which has been found to be helpful in regulating the sleep cycle. Salmon is also loaded with Omega-3, making it an ideal dish for dinner if you want to get a good night’s rest. Halibut is another fish that is full of Omega-3 that can help you get better quality sleep. Pumpkin is something of a sleep superfood, containing tons of calcium, magnesium, Omega-3, copper, and chromium — which can all improve sleep, according to Breus. Asparagus contains vitamin B, calcium, and magnesium, making it an ideal side dish with dinner. 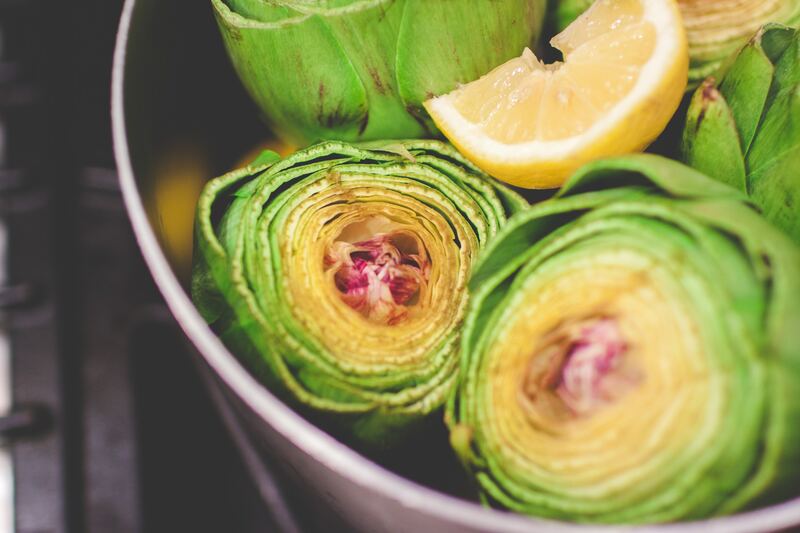 If you find it tough to fall asleep, try adding artichokes to your diet. They’re full of iron, which can help ease restlessness, according to the sleep doctor. Snacking on seaweed, which is a rich source of tryptophan, can help you sleep through the night. Turns out, having avocado toast for brunch can help you sleep better at night. Avocados are high in B vitamins that Breus said can help regulate sleep. Leafy greens like spinach and bok choy are loaded with magnesium and vitamin B, which can help promote sleep. “Broccoli is a good thing to have because it helps eliminate caffeine from your system,” Breus said. Rich in vitamin B and folic acids, legumes promote the regulation of serotonin, according to Breus. Almonds are packed with sleep-healthy nutrients including Omega-3, B vitamins, magnesium, and calcium. Snacking on walnuts should help you sleep a lot better. The powerhouse nut contains tryptophan, calcium, magnesium, and selenium. Oatmeal can keep you fuller for longer — and oats contain copper which is linked to longer sleep, according to Breus. Like oats, buckwheat is full of copper and fiber, which are good for your blood sugar levels and your sleep. Greek yogurt is especially good for promoting sleep, since it contains probiotics which Breus said can influence the production of melatonin. If you crave a late-night snack before bed, Breus recommends low-fat cottage cheese. Though he doesn’t think it’s a great idea to eat right before bed — “you don’t want to start up the whole digestive process,” he said — cottage cheese is a great snack since it’s high in tryptophan. “Bananas are loaded with magnesium,” Breus said, making them an ideal snack to help regulate your sleep cycle. “Tart cherries have the highest amount of melatonin in them of any fruit,” Breus said. So they’re arguably the best thing to snack on for a good night’s sleep. According to Breus, “kiwi helps promote serotonin.” Serotonin is derived from tryptophan, and is thought to create feelings of well-being and happiness. Drinking herbal teas can help you relax before bed. Breus recommends lavender or chamomile in particular, which are the most calming. Copyright 2017. Follow INSIDER on Twitter.